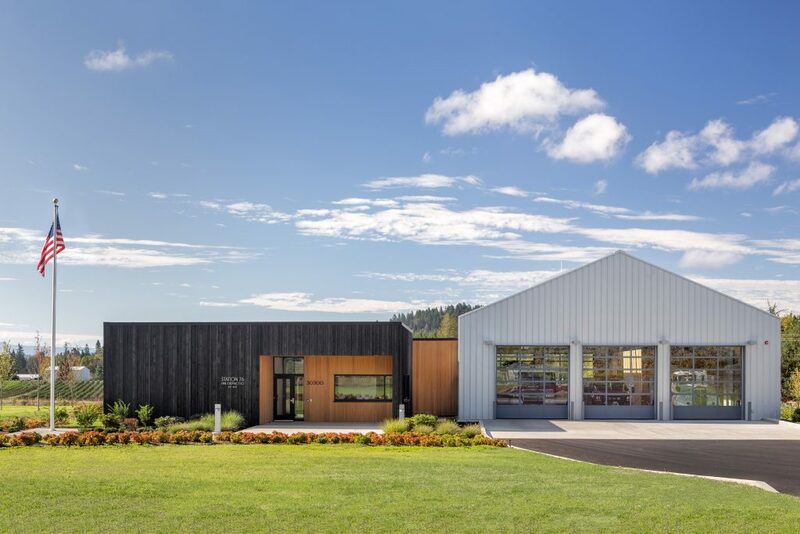 Rural Oregon Fire Station Receives Design Award | Hennebery Eddy Architects, Inc.
Fire Station 76, the charred-wood clad structure serving rural Gresham, Ore., received a Merit award from the Northwest and Pacific Region of the American Institute of Architects. This award is the sixth design recognition for the building, which was designed by Hennebery Eddy Architects and opened for service in April 2015. To view all of the 2016 AIA Northwest and Pacific Region award-winning projects, view the AIA gallery here.